Most hospitals today sink or swim financially based, in great part, on their ability to attract and retain desirable market share. 1. Provide clearly understood information on those health plans with which you contract. Many seniors have existing relationships with doctors and hospitals, and they want to make sure they have continued access to these providers once they go on Medicare. In the past many hospitals have addressed this issue by simply listing on their website the health plans with which they contract. That’s a good first step, but it’s time to take it to the next level by having a toll-free helpline that not only provides this information but then actually helps the senior through the enrollment process. Doing so not only retains market share but helps assure continuity of care and preserves the bonds of trust established over time between patient, hospital and physicians. 2. Simplify and provide support in the enrollment process. Medicare’s annual open enrollment period runs October 15-December 7 with new plan selections taking effect January 1, 2018. During this time Medicare recipients are bombarded with confusing and conflicting messages from competing plans, leaving many seniors no neutral place to turn for help or guidance. This is especially true for the 11,000 new seniors aging into Medicare every day. A hospital can truly provide value by offering a helpline that connects callers with licensed unbiased agents who can assist in comparing Medicare supplement, Advantage and Prescription plans and then facilitate enrollment in the plan selected. This one-stop destination will help seniors feel informed and confident when making this important decision. 3. Communicate with your patients throughout the year. The battle for protecting and growing market share has never been greater. So, while the most obvious need for patient outreach may be during open enrollment, providers need a proactive patient communication and population management strategy year- round. Given the marketing savvy of health plans, large healthcare systems and entrepreneurial start-ups, providers can no longer just assume that patients “will find their way to us.” Patient loyalty is built over time and aided greatly by consistent and trusted communication, which tells the patient that you care about their health and are looking out for them. 4. Be proactive if contract termination with a health plan is imminent. HIPAA encourages providers to inform patients of insurance changes through education. If provider/payer negotiations go south at renewal time, both the hospital and its patients need a safety net. By having a road-tested helpline in place, patients can be immediately directed toward another plan with which the hospital is contracted that best meets their specific needs, preferences and budget…and with no disruption in care. The alternativeis allowing the plan to deliberately assign the member to another doctor, which is a losing route to go for both provider and patient. In short, make sure that it is you – not the health plan – who owns this relationship. 5. Conduct on-site seminars during annual enrollment periods. For some people, nothing really replaces face-to-face communication. During annual enrollment consider hosting enrollment seminars where independent agents can help educate seniors on their health plan options and then assist on-the- spot with enrollment in the plan selected. 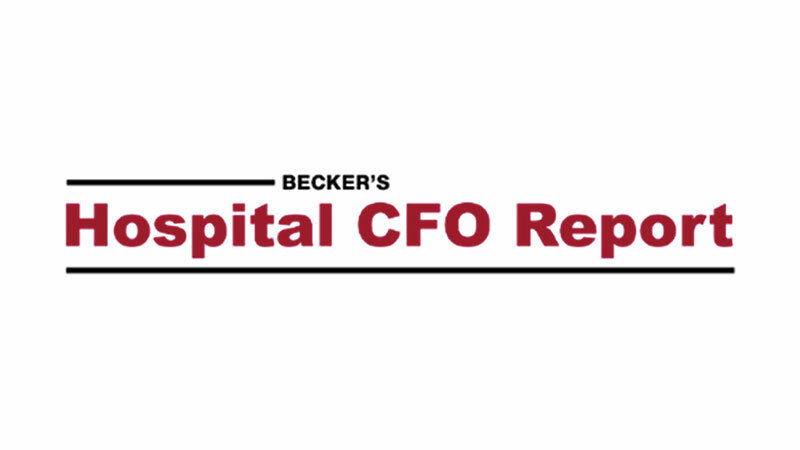 Just as hospitals work to position themselves as the “go-to destination” for providing care, the increasingly complex world of healthcare makes it imperative that these same hospitals become the “go-to destination” for benefit information when it’s needed most. 6. Don’t try to do it all yourself – look to experts to help. Regulations by the Centers for Medicare & Medicaid Services prohibit providers from steering patients toward a specific plan. Fortunately, however, there are now independent and regulatory-compliant resources that can support providers in their patient- retention efforts. These resources – not owned or operated by any specific health plan – answer consumer questions regarding coverage options, provide unbiased information on multiple plans, and tap into licensed agents to assist patients in enrolling in a health plan that is accepted by their existing hospital and doctors. Doing so helps assure continuity of care, preserves well-established trusted relationships, and allows providers to retain market share they likely worked hard to cultivate over time. MedicareCompareUSA is an insurance agency, call center and media provider of Medicare-related content. MedicareCompareUSA is not affiliated with the federal Medicare program.